I’ve always heard of Irish moss, specifically in reference to the Irish moss drink that is popular in Caribbean countries, and its health benefits. 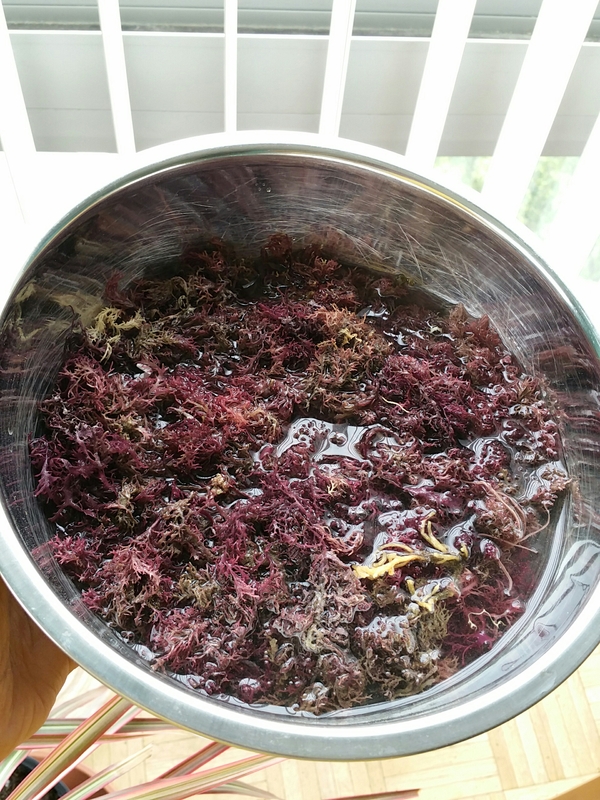 But I’ve never heard of purple sea moss until some friends mentioned they were using it. I’m learning among a number of things that this purple version is a lot healthier compared to most of the conventional tan colored moss that is being sold on the market. 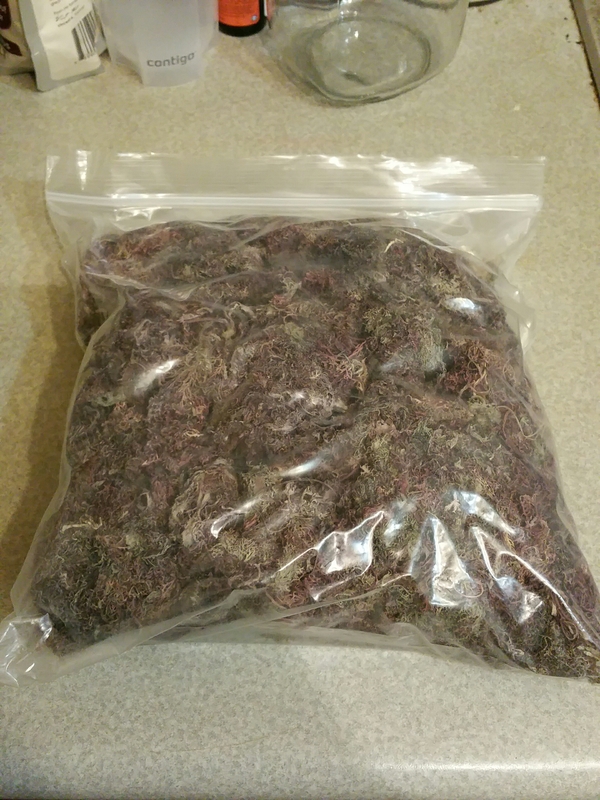 So eager to try this purple version, I ordered and just received the other day my first batch of purple moss. When I opened the package it has a pleasant salt water smell. It literally smells like the sea, which indicates to me this is really natural. It’s my first time working with this moss or any form of Irish moss. I’m reading about people making gels, teas, mixing it with smoothies, etc. I’m in the middle of soaking my first batch right now. Having watched a bunch of videos with folks instructing you to rinse the moss multiple times to remove the salt its been preserved with. I’m glad to see I don’t have to take that step with this batch, as it has been dried naturally with no salt preservatives. I really hope this batch retains much of the purple color, but let’s see what happens.